Comments: Wow. 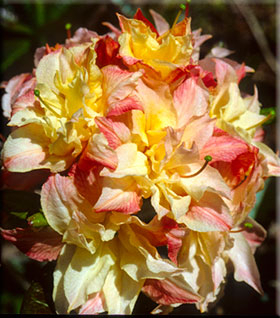 A big round ball of rich cream and pink double flowers adorn this plant each spring. New leaves emerge with a bronze tint which holds up well into summer.